Left Coast Rebel: Herman Cain for President? Robert Stacy McCain was the first to mention him and I see his name popping up across the blogosphere, is it an indication of grassroots enthusiam? An LCR reader emailed me about him and wanted to know more, after he read an excellent Right Klik post on him. Unfortunately, I didn't know enough about him but told him I would send him more information. I wonder what this all means? Look, I remember when Allen West couldn’t get the time of day from the GOP establishment; next month, he’ll be Congressman Allen West. And I also remember arriving in NY-25 on a Sunday when, barely two weeks before Election Day, the front-page news was a poll that had Ann Marie Buerkle trailing by 12 points. Next month, she’ll be Congresswoman Ann Marie Buerkle. In a David-vs.-Goliath situation, you don’t start by trying to calculate the odds of success, because the odds are liable to be so daunting as to inspire helpless despair. 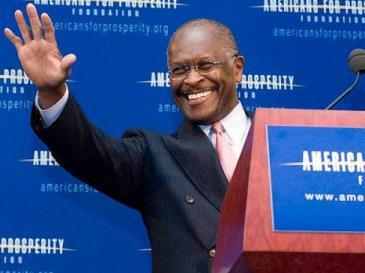 But let me ask you this: What were Herman Cain’s odds in 2006, when the doctors diagnosed him with Stage 4 cancer? 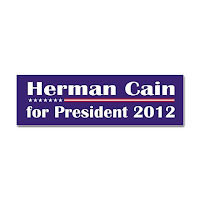 Think about that before you say Cain can’t win. With the race for the 2012 Republican presidential nomination now underway in earnest, jockeying for position among the potential candidates has begun; and with the new year drawing near, the short list appears to be growing into a rather long one. Among the many who are hinting at or flirting with a run at the White House is a man you likely have never heard of… until now… Herman Cain. Cain is a rather intriguing figure and I do believe his participation in the primaries could be rather beneficial to the cause. A true outsider to the political game could provide a dose of much needed reality to the conversation as our Party begins to sort through the potential nominees that undoubtedly will differ in positions on only fringe issues. He will certainly be one to watch as primaries draw near and I would be willing to bet that we haven’t heard the last of Herman Cain. 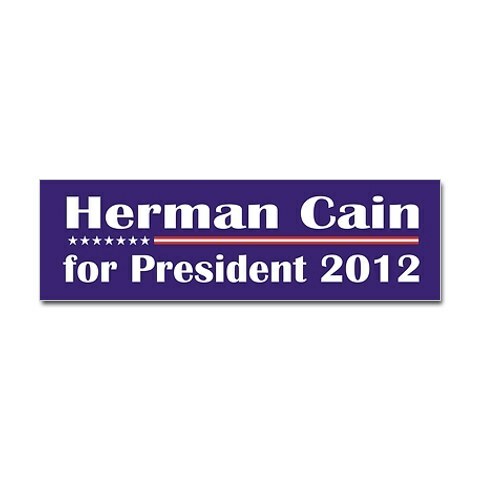 Herman Cain Fever: Catch It! Be sure to reade Right Klik's Herman Cain introduction too. Herman Cain is the real deal! He is just what America needs in our hour of crisis. Someone to inspire Americans to believe in themselves and believe in America's greatness. He's certainly one to watch. I like him. He is inspiring, but it remains to be seen if he can put together the kind of organization you need to run a presidential campaign and win.